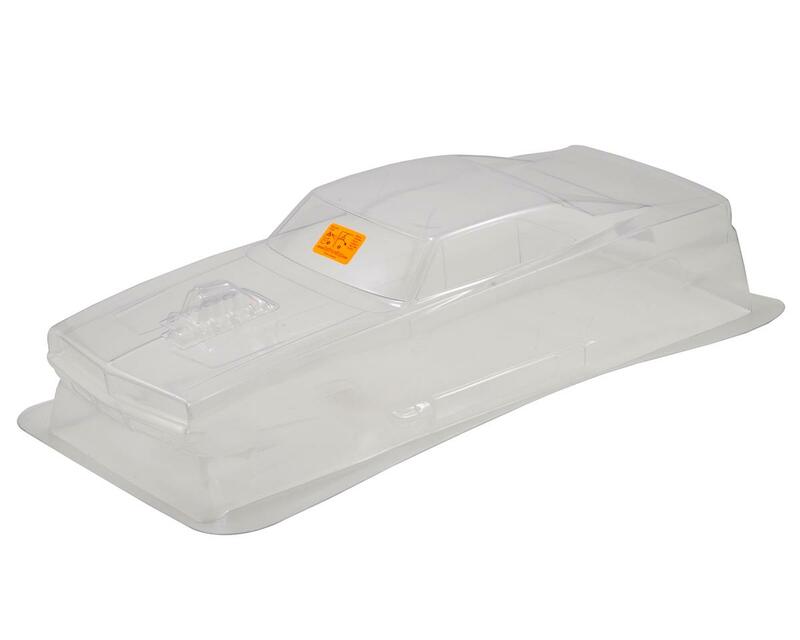 This is the HPI 1969 Dodge Charger Body. The Charger was one of the most powerful muscle cars ever, with instantly recognizable styling that helped define the muscle car era. 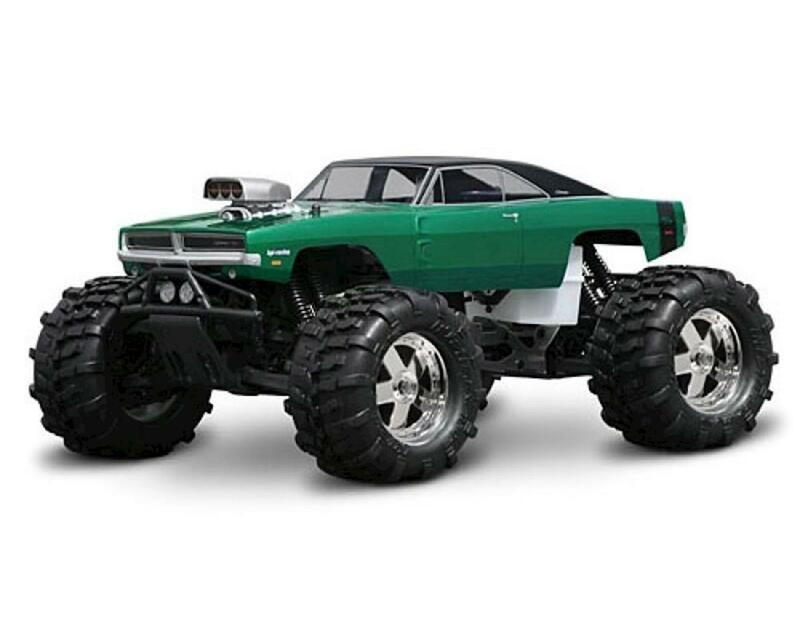 HPI body designers crafted a realistic version that is a perfect fit on the Savage line of trucks. 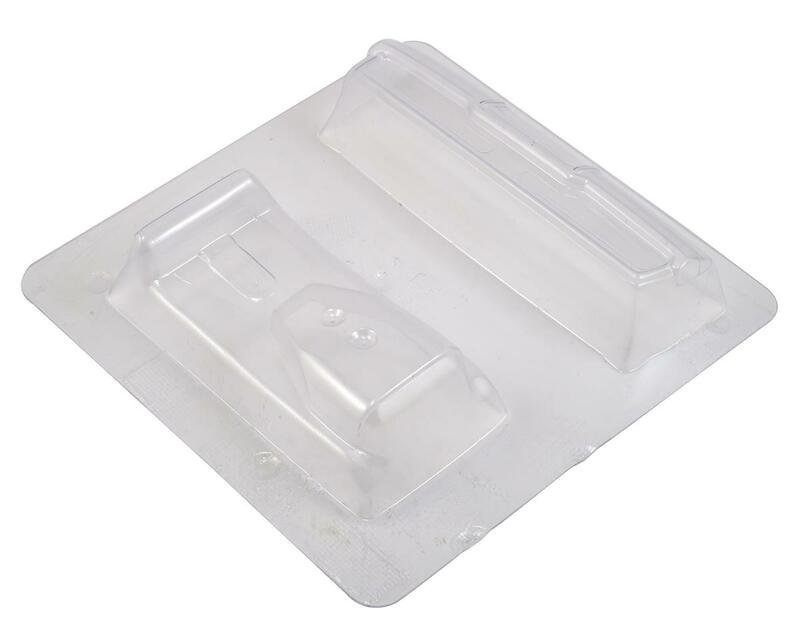 The body features a realistic 3D hood-mounted blower, included hood cover, recessed grill, recessed rear bumper, and a giant decal sheet to make an exact replica molded from thick 0.040" clear polycarbonate. The convenient pre-cut vinyl decal sheet includes: photorealistic headlights, grille, tail lights, official logos, window frames, door handles and more. All are die-cut to make applying the decals quick and easy. 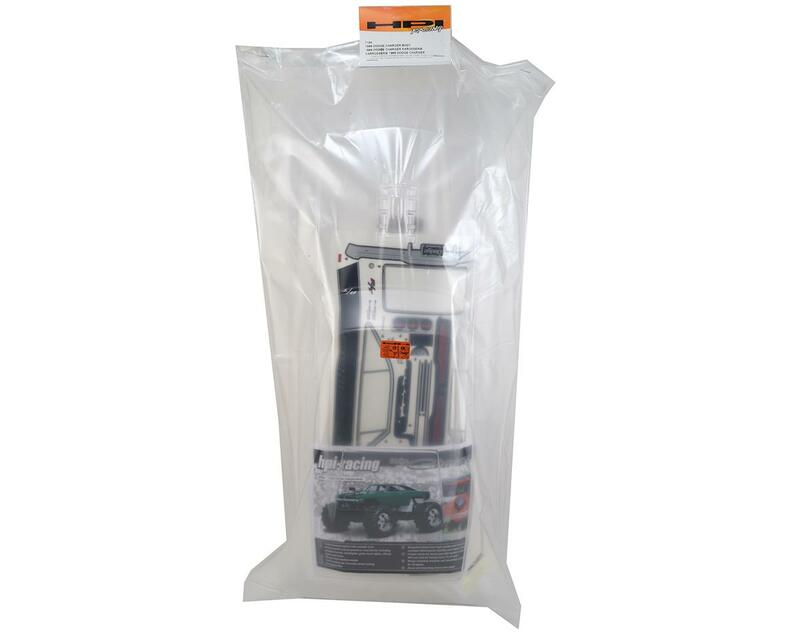 Overspray film and pre-cut vinyl window masks are included with each body. A decal instruction sheet is included for decal placement, and the body has dimple marks for body post drill locations. This body will fit all Savage, T-Maxx and E-Maxx monster trucks.